Eileen Daley, Sr. 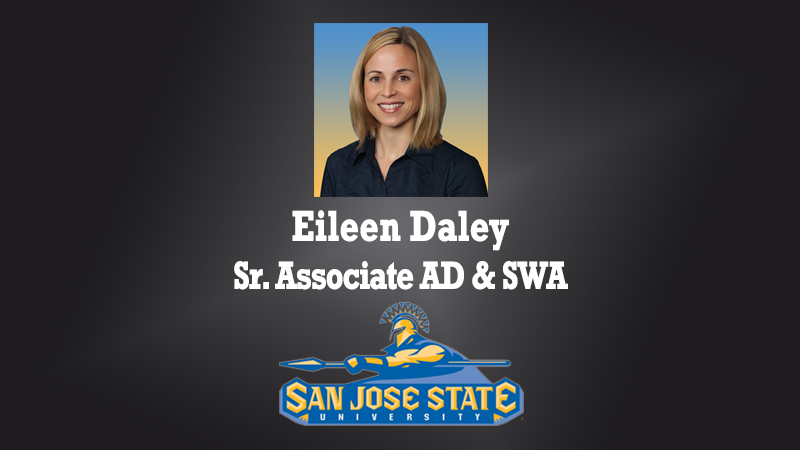 Associate AD for Academic & Student Services/SWA at San Jose State, visits the 1.Question Podcast to discuss her background in admissions and how it helps with her current role in athletics. Daley initially left the department and joined campus admissions to gain experience managing a team and to diversify her profile. In her return to athletics, she brought the department and campus closer in terms of ties between recruiting, admissions, academic advising, and Student-Athlete experiences.